Send Those Nasty Allergies Packing! Have you been trying to avoid your allergies but they follow you everywhere you go? Are you feeling miserable? Is the sneezing; itchy, watery eyes; nasal drainage; and constant coughing getting to be too much? This video checklist will help you determine if it's time to see an Allergist for your allergy symptoms. Send those nasty allergies packing. 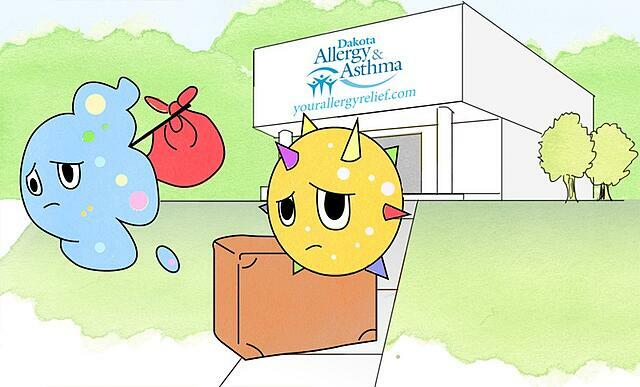 The road to your allergy relief isn’t far away. Get Seen. Get Treated. Get Better. Follow the steps in this resource to figure out if you need to see an allergist or if your symptoms are better treated in other ways.